Thanks again to Jack Rosebro of Perfect Sky hybrid training for the invitation to teach and for promoting the crux and potential of hybrid technology. 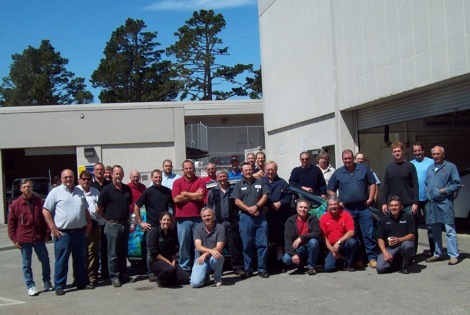 The “train the trainer” 3-day course took place at Skyline College, home to one of the best automotive training programs in the country, and included instructors from all over North America. Carolyn lectured for 75 minutes on plug-in conversion history, system architecture, benefits, and technical challenges, and demonstrated the PICC system currently available from LG with test drives in the shop car.